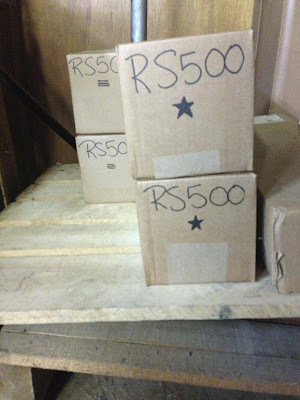 Today, in the shop, we're getting ready to ship RS500s to Japan. Each pair is tightly matched for winding resistances. Hence we mark each box with a unique symbol so that the two remain together. Currently, this transformer is export-only. How many of you would kill to get your hands on a pair of RS500s?